I don’t know what to do. I’d developed some pretty severe anxiety and have been neglecting some important things as a result, including my dental care. I’ve been seeing a therapist and one thing he suggested just to get my oral health back on track was to see a sedation dentist until I’ve got my anxiety more under control. I thought it was a good idea. I saw a dentist and they listed out all the work I’d need. It was more than I anticipated so we set up a schedule where we’d do something called phased treatments. I’d do so much each visit and can take a break to save up for the next visit. Everything seemed to go fine with my first visit and I really thought this was going to be my answer. He was supposed to do a root canal treatment and crown along with three fillings. When I got home I was thrilled because I didn’t even remember the appointment so there was no trauma to increase my anxiety. However, the next morning, they called to tell me he was able to fit in a second dental crown in the time they had and they want submit the additional payment. I mentioned we had a set schedule for the work and I wouldn’t have the money for the additional procedure until the next scheduled time. She threatened not to bond the permanent crowns once they came in. I’m not sure this is fair because we had an agreement. What do I do? This is highly unethical on the part of your dentist. In fact, I’d go so far as to say he could get into legal trouble for his actions. A dentist is to have your express permission before doing any dental work. There’s no way he can obtain your permission while you’re under sedation. I’d call and ask to speak directly to the dentist. Remind him you had a schedule for the work and did not approve the additional crown. Let him know what the front office threatened. If he has integrity, he’ll agree to place the crowns and not charge you for the one done without your permission. If he gives you any problems with that, feel free to tell him you’ll be speaking with the dental board. That should put things back into perspective for him. You should not allow this office to continue to do your care. I wouldn’t trust them. They’ve already violated dental ethics on a couple of levels. There are plenty of legitimate sedation dentists out there who are worthy of your trust. I’d not waste another moment on a practice which isn’t. Make a list of dentists who offer the services you need in your area. Then, be certain to check their reviews to see what type of service patient’s have received from them. If they check out, then give them a try. Your current dentist is required to turn over all notes, x-rays, etc., that will be useful in your continued care. Though, this dentist should place the permanent porcelain crowns for you. Please don’t let this one bad apple spoil you off getting the care you actually need. Please help me. My parents aren’t big believers in dental care. I used to beg to go to the dentist because I worried I was the only one of my friends who didn’t go at that point in my life. They finally agreed to pay half if I could show I had my half ready. I think the only reason they did that was to get me off their back and they didn’t think I’d follow through on my end. Well, I did. I saved up the money, researched a dentist, and made an appointment. Because I was a minor I had to have a parent with me. My mother came and sat in the lobby. It was no surprise to me that I had some cavities. I’ve almost saved enough to go back and have them filled, but I really want dental sedation. Even just my cleaning felt horrible, probably because I’d never been. I can’t imagine how bad the fillings will feel. Plus, I’m nervous about the shot. My parents said they’d only cover half the cost of the filling and not “unnecessary” things like sedation. It will take me much longer to get the money for the sedation if I have to do all of it and I don’t want my cavities to get worse. Is there a way to convince my parents this is useful? I’m very sorry you’re having to struggle to get your parents to do your dental care. Many low-income families will almost feel it an impossible task to afford dental care. They don’t always realize they could actually save money with regular cleaning than waiting until a dental emergency rears its ugly head. As you’ve already developed some cavities, which given the fact that you’d never gotten to go to a dentist before, is not surprising and likely not even your fault, one thing your parents need to know is that if these aren’t filled they’ll spread and become a tooth infection. People still, to this day, die from tooth infection. Unlike most bacterial infections, antibiotics alone aren’t enough. A dentist has to physically remove the infected pulp. This is called a root canal treatment and is much more expensive than a filling so the earlier this is cared for the more affordable it is. For even a simple procedure, like a filling, you’ll need a local anesthetic to numb the area. Given your anxiety over your last experience, it will be hard for you to get numb. Anxiety raises your metabolism which burns off the numbing meds. If you have some sedation, even mild sedation like nitrous oxide, it should relax you enough for the anesthetic to work. For others, the anxiety is so strong that nitrous isn’t enough. They need oral conscious sedation. This relaxes you so much that you’ll likely sleep through the entire procedure. One other huge benefit is the cost-effectiveness. You’re able to get much more done in one appointment. In fact, you’ll likely be able to get all of your fillings done in that one appointment which will save you the cost of coming back for additional appointments. Be aware, also, that there are affordable dentists who will be more than happy to work with you. I’m an army vet. I served five tours. I don’t want to go into detail but I’ve got PTSD due to several things. Unfortunately, the last time I was in a dental chair we were attacked. I’ve got a pretty bad toothache and my face is swelling up a bit. I know I need a dentist but I’m worried about how I’ll respond in the chair. Also, I’m not sure if any of my PTSD meds will interfere with treatment. I want to thank you for all the sacrifices you’ve made to keep your country safe. I know you’re still sacrificing too, so please know it doesn’t go unappreciated. I understand your concern about the dental chair. Even patients who haven’t been through what you have struggle in the dental chair. Given your situation, I’d recommend dental sedation. This will completely relax you in the dental chair and won’t interfere with your PTSD medication, though it is important to tell whichever dentist you go to all the medication you’re on. That way if the sedation meds they use could interfere, they’d be sure to use a different one for you. With your face starting to swell, it likely means you have a dental infection. Don’t put this off. In fact, if you don’t have a dentist call an emergency dentist and ask if they do oral conscious sedation. What you don’t want is for this infection to spread to your brain or heart, both of which are close to your jaw. It will become life-threatening very quickly. One thing to be aware of is this medicine is strong. 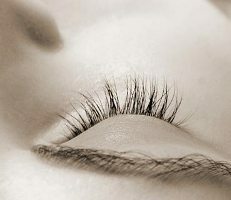 While you can stay awake if you want to, most patients sleep through the procedure. Because of its strength, you will need someone to drive you to and from your appointment. You’ll be a little loopy. What Went Wrong With My Last Dental Sedation Case? I’ve had five procedures which required dental sedation. Until this last one, everything went smoothly. I have switched dentists mostly because of a move to another city. But, this time was different. The procedure itself went similar to the others, but after I got home my heart started racing and I had trouble breathing. I was on my way to call an ambulance when the nausea kicked in so I just lay where I was on the floor until it passed. That’s never happened to me before. Do you know what could have happened? We all know a good dentist is important. But, the fact that your dentist let you leave after a dental sedation procedure alone, is very concerning. Those types of details need to be attended to. A patient doesn’t always understand the post-operative care procedure and it needs to be overseen by the dentist. When you have dental sedation, you not only need someone to drive you to and from your appointment, but to stay with you for a while after the appointment as well. I hope you didn’t have to drive yourself home. One of the reasons for a caregiver is you’ll be unsteady on your feet so it’s helpful to have someone who can get things for you and help you to the restroom. Another reason is because of what happened to you. What if your heart rate rose so high you ended up having a heart attack. As it was, you couldn’t make it to the phone. Imagine if your breathing and heart rate didn’t calm down. You could have died. What Went Wrong With Your Dental Sedation? I wasn’t there so anything I say in this case is a suggestion. Two possibilities come to mind. The first is your new dentist uses a different type of sedation medication than your old dentist and your body reacts to it poorly. There’s an easy way to find out. Call the office, let them know what happened and ask them to call your old dentist. If it’s a different mixture of sedation, they can be sure to use the other kind with you. Another possibility is if you’ve had any medication changes or are taking anything new that’s over the counter. These things can affect the way the sedation works. Be sure you’ve told your new dentist about any medications, including over the counter meds, that you’re taking. He’ll be familiar (or at least should be) with any interactions.